Featuring a black georgette straight cut semi-stitched salwar-kameez. 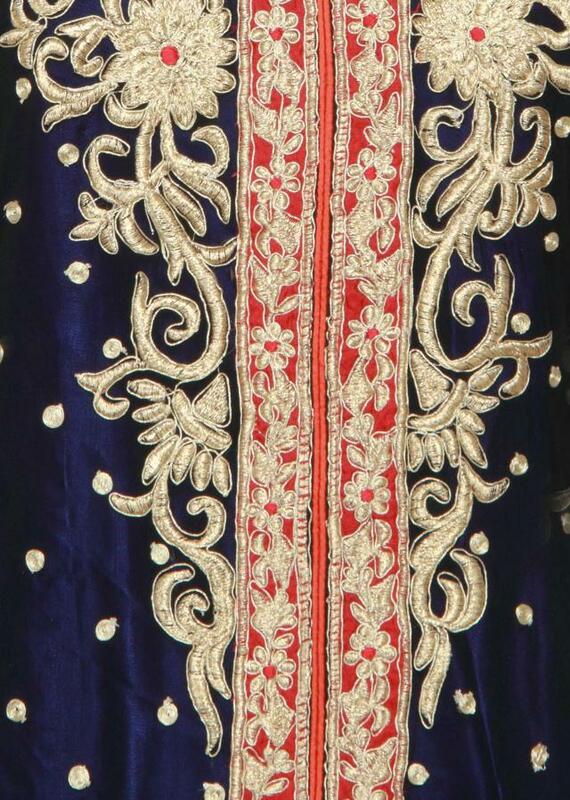 Embellished in gold zari and resham embroidery all over. 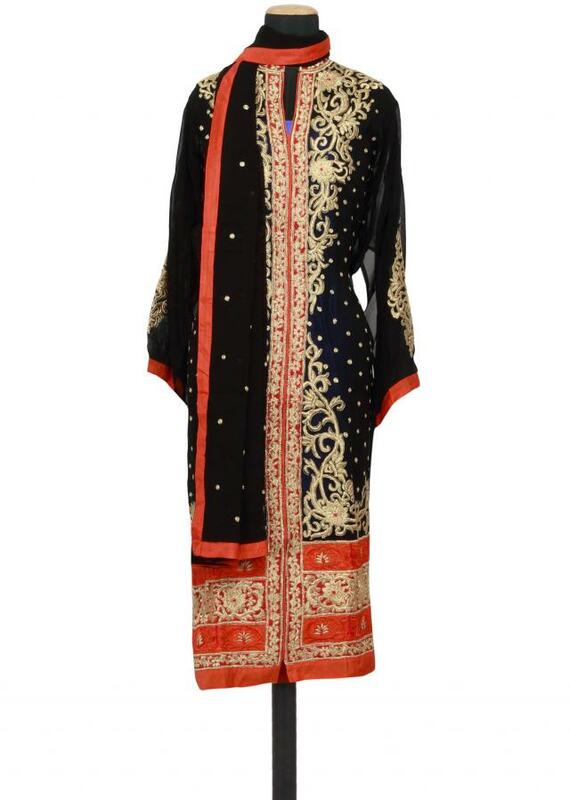 The neckline has a embellished chinese collar and the placket is red embellished in zari. 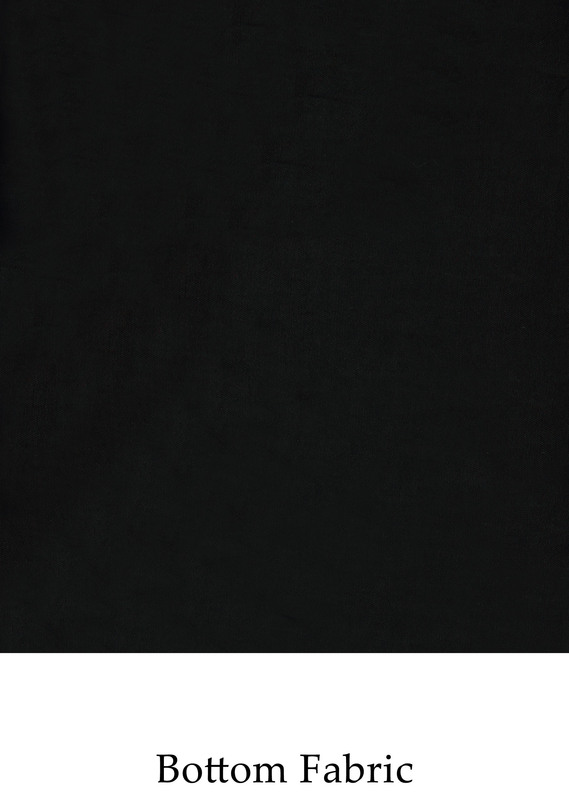 The border is in red and orange enhanced with zari and resham emroidery. 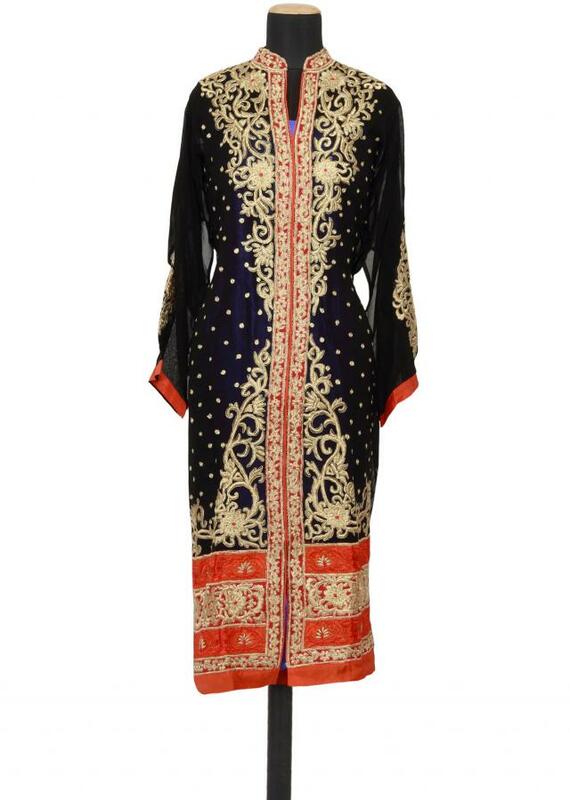 It comes with a matching santoon unstitched fabric and dupatta with orange border.